Very happy with our visit. Close proximity to all of the sights that we wanted to experience. Safe neighborhood and close to many great restaurants. 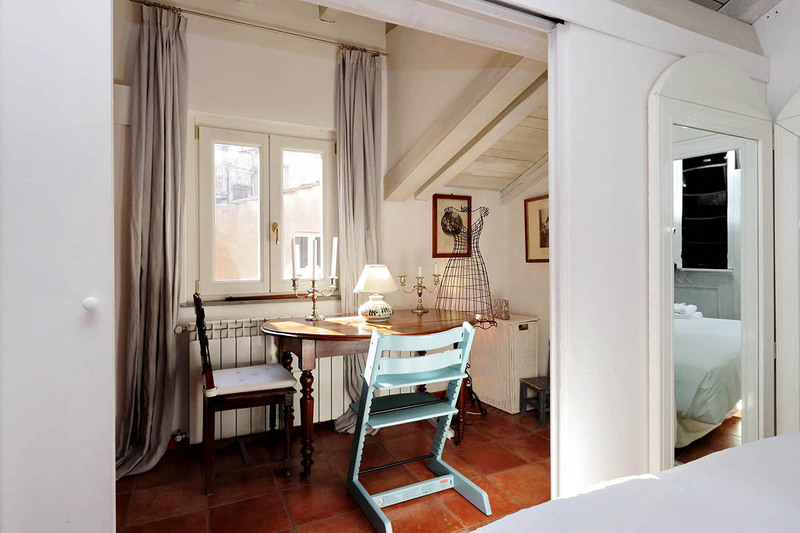 The Pantheon charming penthouse is perfectly located in the center of alle the attractions of Rome. It is charming and very quiet. The small terrace is wonderfull et the decoration is trendy. The beds are comfortable and the kitchen is fully equipped. This is the ideal place to enjoy the "dolce vita" with friends or family. 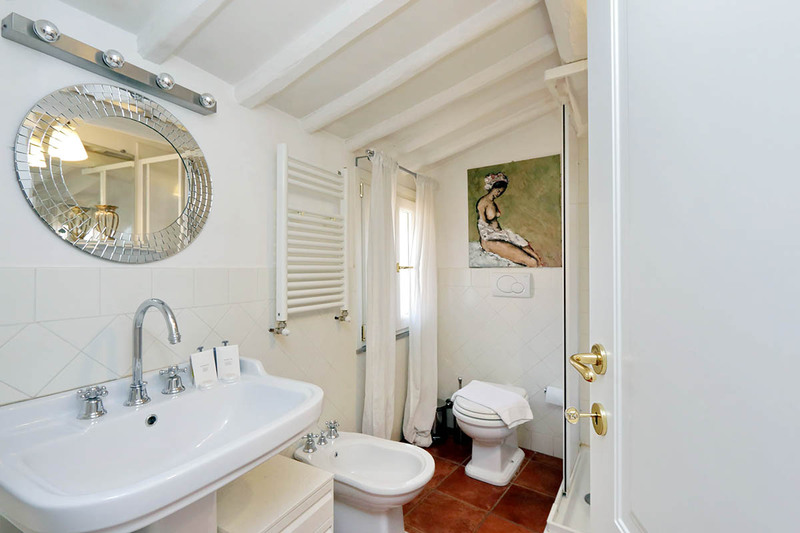 Fitted our objective of of being centrally placed in the historical area of Rome with access to all key attractions. The appartment itself was very homely and comfortable and well equipped and was suitable for the four of us. 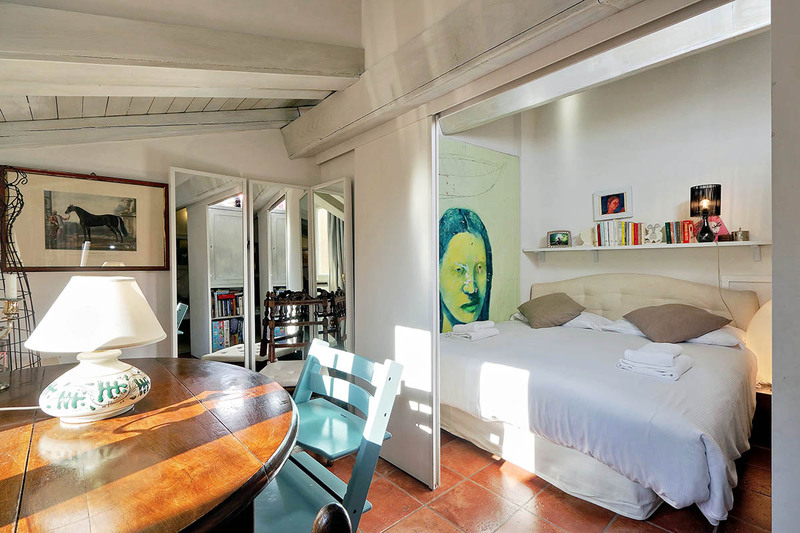 You’ll find a wonderfully cozy penthouse a little less than 100 meters from one of the most majestic monuments of Rome. Moreover, this property will make your stay as comfortable as possible. You can access it on the 5th and last floor of a characteristic historic building (with an elevator). 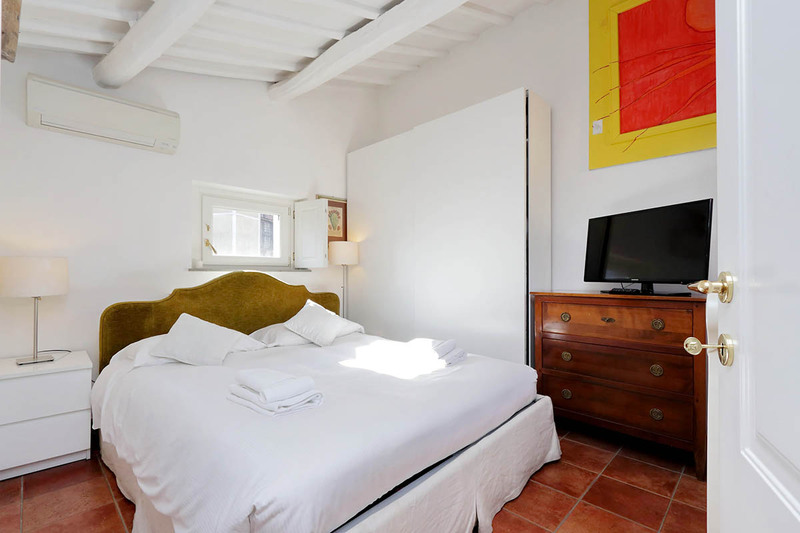 This accommodation boasts typical white beam ceilings and classic Italian “cotto” floor tiles. 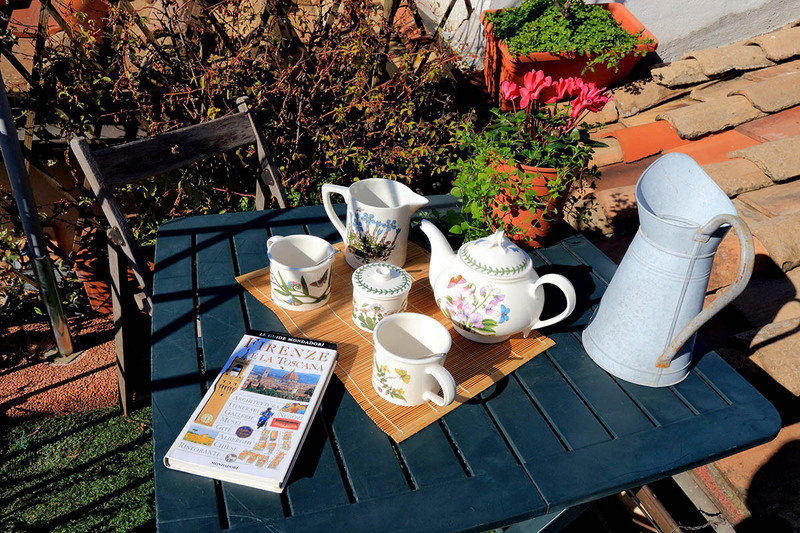 Moreover, it offers the best of both worlds: antique Roman charm with today’s comforts. When you enter the apartment, you will see the kitchen to the left of the main corridor. It is fully equipped with a refrigerator/freezer, an oven, a gas stove, a microwave, and a dishwasher. Of course, all of the necessary cooking ware and tableware is also available. 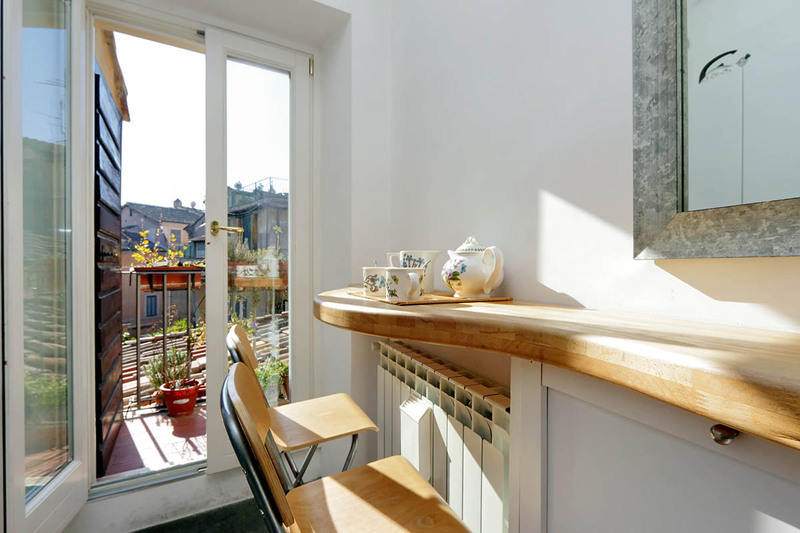 The sunny terrace is accessed through the window in the kitchen. 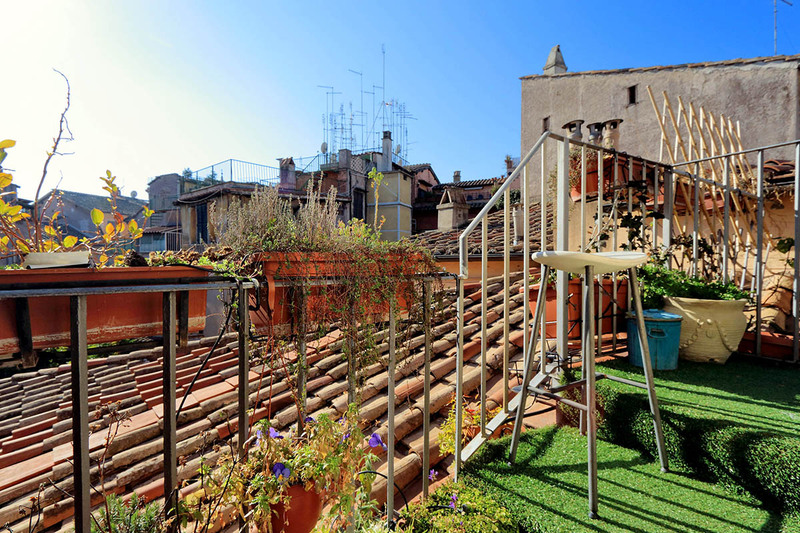 Here, you can sit and enjoy a drink in front of a fantastic view over rooftops and the geometrically interesting spiral top of the lantern of the Sant’Ivo alla Sapienza church. The washing machine sits in a small covered area of the terrace. The air conditioned living room is adjacent to the kitchen and offers plenty of sitting space with two cushy sofas. There is also a flat screen television, a DVD player and a Wi-Fi Internet connection. A beautiful library, a red carpet and a large mirror, add nice decorative touches to this charming area. The hallway ends with a boudoir (with AC) which makes for a great working area with its two tables and chairs. Tucked right next to the boudoir, you’ll be glad to find a cosy little nest of a sleeping area with a queen size bed. A hallway to the right of the boudoir leads you to the elegant air conditioned master bedroom with a queen size bed (made up of 2 separate beds), night tables and night lamps. Finally, the bathroom next to it has a shower. 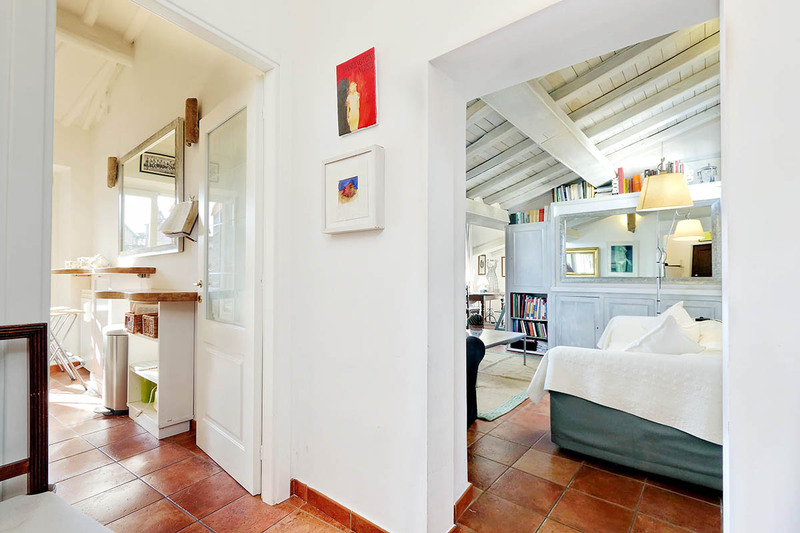 Renting this apartment near the Pantheon is a decision that you and your family won’t regret! The Pantheon is more or less right in the middle of the historical center. This means you are in the perfect place from which to explore all parts on foot – the best way to get around in Rome. 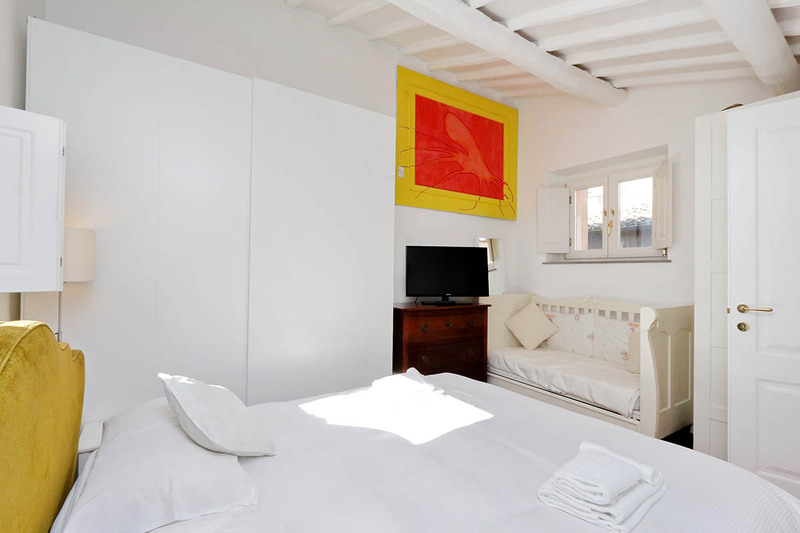 Just a few of the nearest attractions include the Piazza Navona, Trevi Fountain, and the Piazza Venezia. The other great thing about being based here is the range of facilities available. In your immediate vicinity you will find many great restaurants and bars. Moreover, in the surrounding area you will have access to supermarkets, pharmacies, banks, and post offices. Making the short walk to the Spanish Steps, you can also access the Metro A line, which can take you to Termini, the Piazza del Popolo and the Vatican. Moreover, changing at Termini, you can take the Metro B line to the Colosseum. Of course, all of these are reachable on foot as well, though this may take slightly longer! I stayed in five or six apartments in Rome over the last few years, this was #1. I was with my elderly mother, and she loved being so close to restaurants etc., Location is great, It is well-stocked (even with espresso), very clean, and it feels like a "home" not a hotel room. I would live in this apartment, no problem. Whoever thought o...Read Moref including a box of espresso and a machine is a genius, grazie. There were cold days in Rome, but the apartment heats well. Two small problems -- (1) The internet was not working consistently for the first 2 days. But once a broken cable was fixed, it worked great for the duration, so this is not a problem now. (2) The shower water pressure is "fair." Not great. Because this apartment is on floor 5, this may not be a fixable problem (I don't know). But this small issue, so even if it can not be fixed, I would still stay here, no problem. Every apartment everywhere has something wrong with it, this is a small price to pay for everything else being great. Two seniors (71 yo) and one adult (41) were very impressed by the quality of the apartment interior & equipment, the professionalism of the staff (Nissar & Sibilia), and the environment of the apartment (neighbors including the former city mayor). Very quiet, and yet liveful. The lift works with no problems, no noise, but just peace. And ye...Read Moret, it is housed in the center of the touristy community (minutes walking distance to Pantheon, Trevi, and Navona). Even to stretch our radius (e.g. Vatican and Trastevere), it only takes 10-15 minutes, either by cab less than 10 Euro or by bus 1.5 Euro. It was almost exactly the same condition as we live in our house. Regarding the apartment, the kitchen equipment is sufficient for cooking lovers. We even did cook out and prepared all course meals. Also there were no problem with any electronics including ac, oven, dishwasher, laundry washer etc. For laundry, we did use the balcony so that the Sun was our dryer, which is also the same way as our country (even in metropolitan area) unlike using the unnatural, dryer machine in the States. The only wish I would make is bathtub :) which is trivial, especially for Roman summer. All in all, therefore we would love to stay again at this apartment, only if it maintains exactly the same quality or above! Thank you very much for all the service and prompt communications. 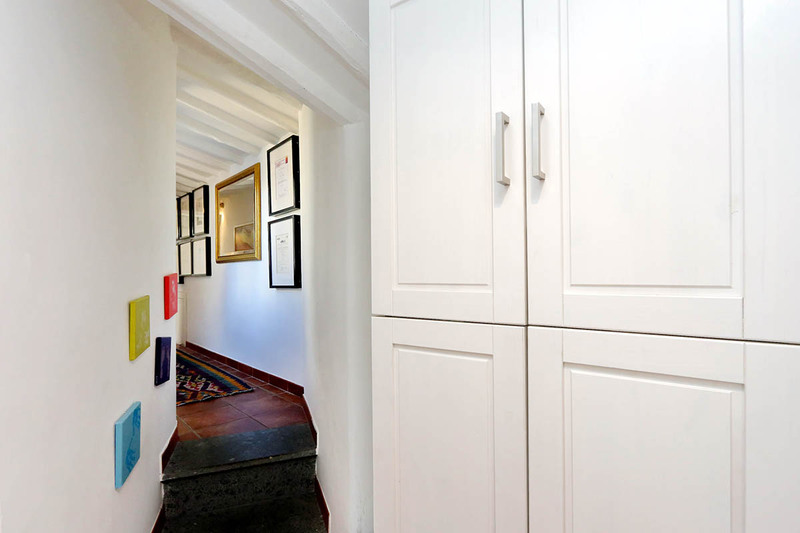 Wonderful apartment, walking distance to all the historic sites. Great AC, was hot during our visit. Great amenities, microwave, washer, etc. restaurants, shops, pharmacy, and grocery store near by. Campo De Fiori is a short walk. There you can find the market in the morning and great restaurants and night life after dark. My 23 year old daughter l...Read Moreoved the location and the apartment. Terrace is really a series of small balconies but it does give you a little outdoor space. Have rented from Rome Lofts for years. Great company. Niissar, the gentleman who checked us in is wonderful. Our hot water was not working and he had it fixed in an hour. I also made a mistake in our departure time for our car. Called him at 7:30 am and he had a car for us at 8:30 am. He is the greatest! We did not miss our flight. It was great for me and my 23 year old daughter. Not for 2 couples, not enough privacy. Would be wonderful for couple with 2 children . Will rent again! 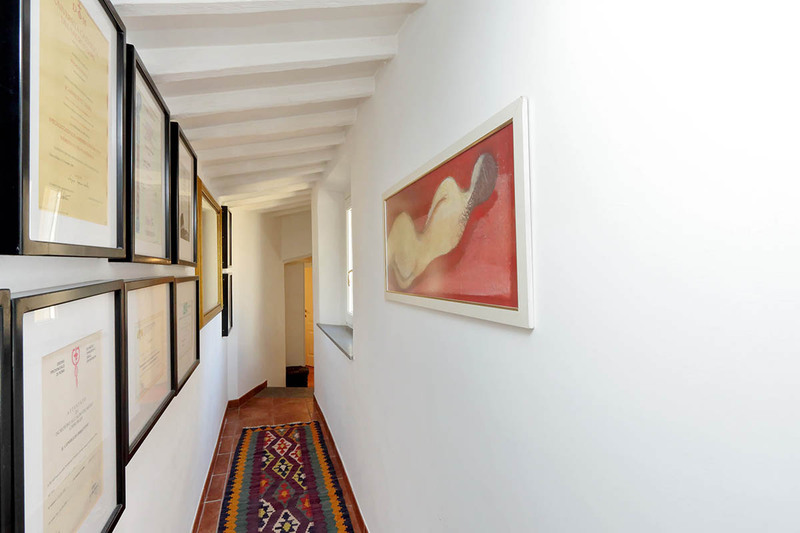 The apartment is in the best location of Rome if you like to make all by feet. 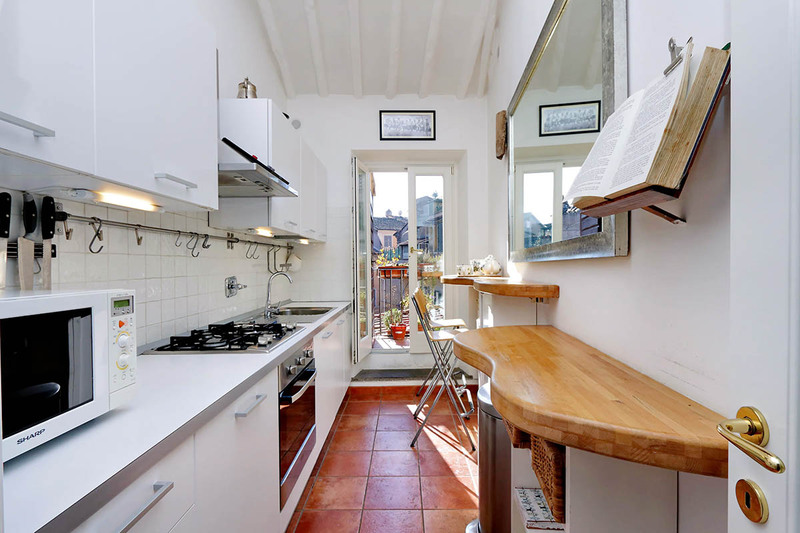 We loved the shape of the flat and especially the small terrace in front of the kitchen. All is very comfortable and very silent and we found all that we had need of. This apartment was perfect for us, a couple and a friend. the two sleeping room were cosy and the beds w...Read Moreere very comfortable. The only thing to "complain": the bidet is moving. (Just to tell!). We had a wonderful week and we were always happy to go for a rest by lift in the 5th floor and were sure that all other people in a hotel had to be jealous for us! 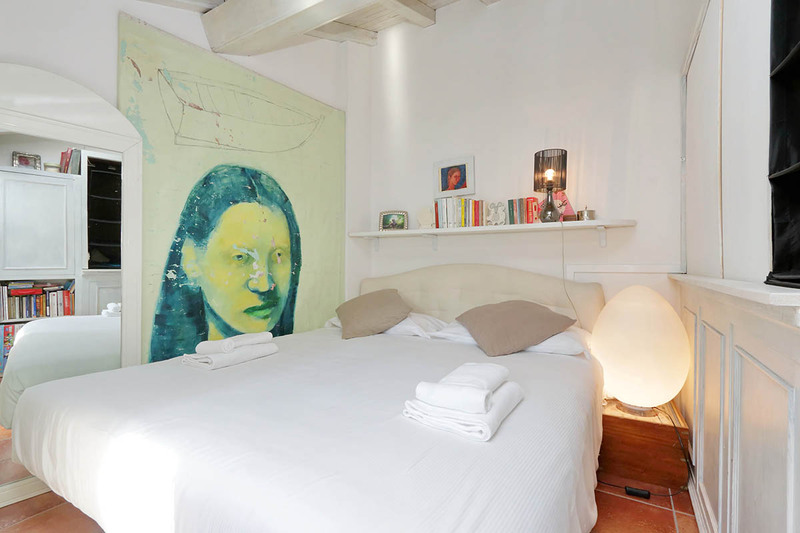 We would always come back to this apartment for a stay in Rome! Not to big, not to small. The apartment had everything we needed without feeling like we were paying for amenities that we would not use. 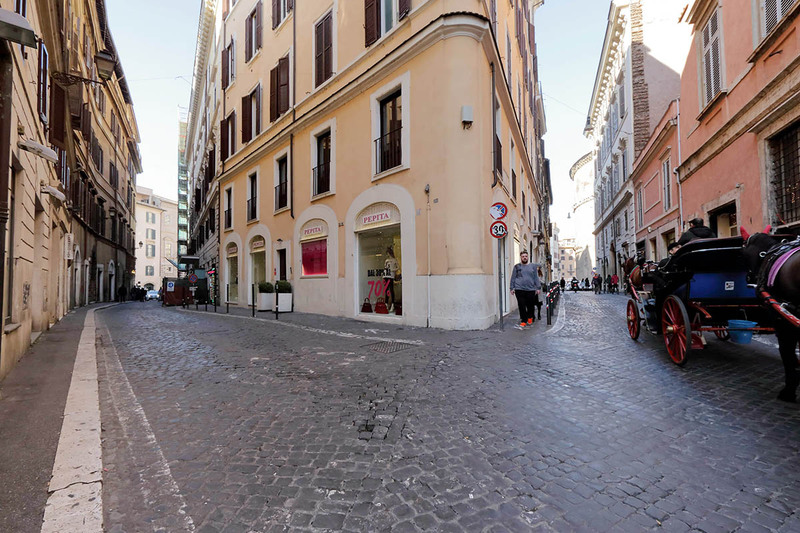 The location was ideal, literally a stone’s throw from the Pantheon (one block) and Piazza Navona. We also had the pleasure of a good night’s rest. The apartment was very quiet (could not even hear it rain)...Read More and the beds were comfortable. We would rent this place again. 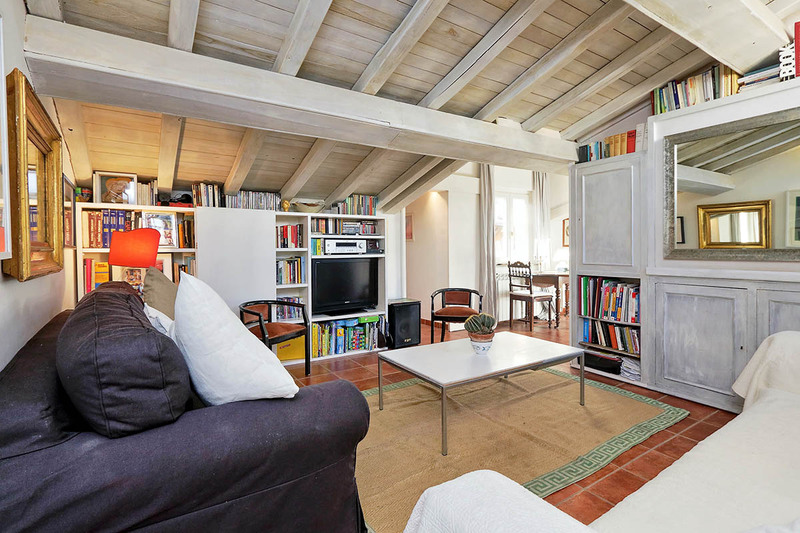 The Pantheon Charming Penthouse is in a good location for exploring Rome, very central to most sights. It is an odd layout, though. I wanted a place with an outdoor space, and this apartment has a tiny, precarious balcony with a view of other backyards. 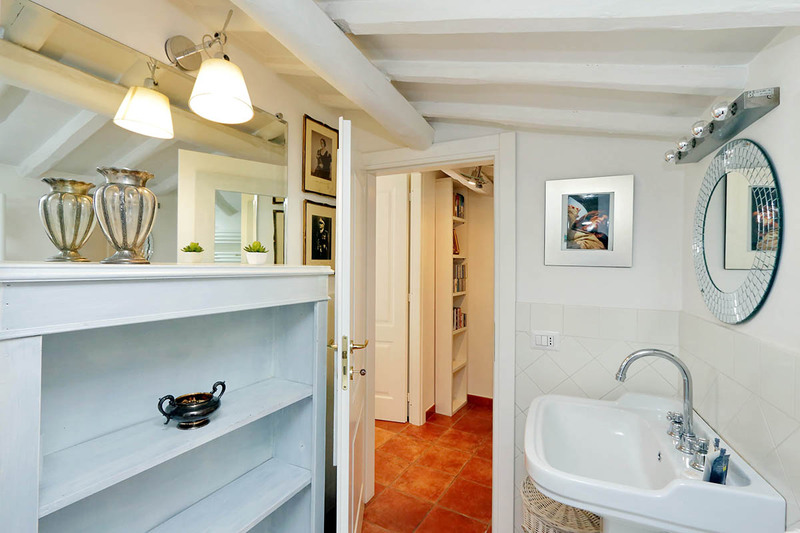 Pros: Central, as I said before, very nice bright bathroom, and a small outdoor space. Art...Read Moreistic sensibility throughout the apartment. Very quiet! The air conditioning was great, and the sleeping boudoir was charming. Beds very comfortable, we slept well.Good WiFi in the living room. Taxi service very prompt and worth the 55 Euros. Cons: Dirty living room rug--we were surprised at how grimy it was. There is barely enough mismatched tableware to supply two people. I really wished for a skillet for sautes and making breakfast--we ended up using a saucepan to scramble our morning eggs, not really optimal. There were moths in the cupboard, and in the arborio rice--sort of depressing. Instructions for how to operate coffee maker, etc., would have been helpful. 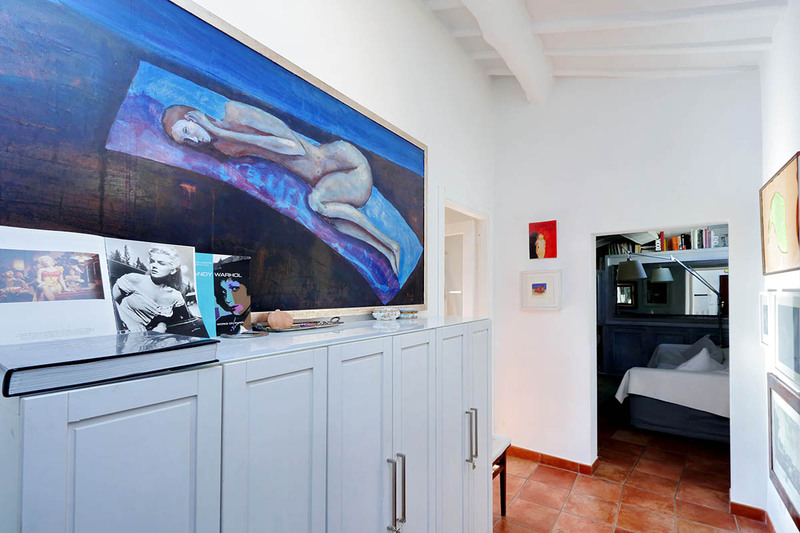 I like being surrounded by artwork, but I felt that the place was over-personalized--the owner's baby's ultrasound photos were on the kitchen wall, etc., so we felt that we were intruding a bit. The bathroom could use a towel bar, it felt weird draping damp towels on the fixtures. Blankets would be nice, too--we had the choice of only sheets or very heavy comforters, which were too hot. We never did speak with Mr. Honey, though we tried to call him--no answer, so I felt out of touch when I needed some advice. Needing to pay cash up front caused headaches .I also felt that even with the good location, it was a bit overpriced, for a sixth floor apartment. It did have an elevator to the fifth but the we had to hump our bags up a last flight of stairs beyond the elevator to get in and out again. I was really ready to love this place, but am not sure I can recommend it wholeheartedly.